13" 3-zone cymbal pad first seen in 2008 on the DTXTREME III. 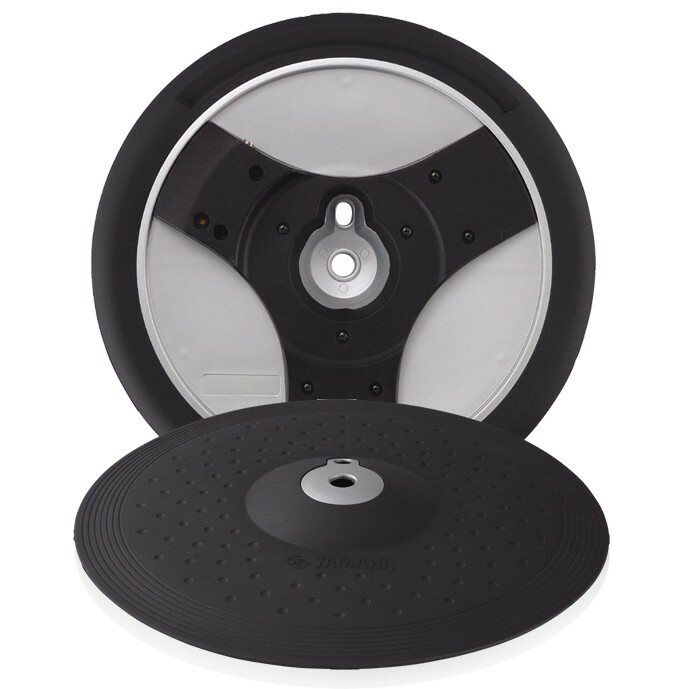 The PCY155 can be used for any type of cymbal or sound source. The 13” PCY135 is perhaps most commonly used more as a crash (make sure you use the Crash or Ride inputs for full 3-zone performance). The three zones are pad, edge, and bell. There is a 360 degree choke function, although an anti rotation mechanism prevents the pad from random spinning as it is being struck. Includes stopper, felt washer, and stereo cable.